These images will eventually be re-mastered into high quality, digitised designs and will include a full colour version for quick card making. Thanks for this complete list, Beccy - I'm checking to make sure I have all my favourites! I did notice, however, that the Easter Bunny is not linked to a larger picture. Thanks again for all your time and talent, Beccy! Hi and thank you for sharing all your creative digis!! Have a SWEET day!! Iriseyes, thanks for letting me know about the Easter Bunny image... I have now linked it properly. Thank you so much for the free digi stamps. I am new to crafting and I find your help invaluable. Thanks for this list and thanks for sharing all your images. You do such lovely work. Thanks for sharing your time and talent with all of us. I can't thank you enough for sharing all the fantastic images. Each one is amazing with so much detail that I cant wait to color. Thanks for sharing your work is just a delight to behold!!! Beccy thanks for take the time and did a Digital Design Index. I just stumbled upon your blog and I wanted to thank you for all of your free wonderful images!!! Thank you so much for all your awesome work. You are very talented and all your hard work is greatly appreciated. Thanks!! Beccy your drawings are fantastic. I just found your site and can't believe all the beautiful pieces. I was trying to duplicate your 3 bunnies card but I could not ungroup to make more space between them. Is there any way you can put them on your site separated. Thanks again for all your generousity of making these available to us. I have just got a new computer and one of the first things I did was visit your site to get my favourite images ! I love your little people, thanks for sharing them. Wow, Beccy! Such wonderful images! I nearly love them all and saved a lot of them! Thanks for sharing these wonderful stamps. I have nearly saved them all. Thank you so much for putting this list together. Just love your images!!! Thank you so much for having this list up Beccy. You rock! Beccy I just wanted to say THANK YOU so much for your generosity on sharing your AWESOME creations with us!!!!! Your digis are awesome ma'am!!! I hope you are having a very blessed weekend!!! I just found your blog and wanted to say thanks for sharing your wonderful images. You are one talented and generous lady. thankyou sooo much. I followed a link from SCS over to your blog and was stunned to see all the wonderful free digis you offer! Thank you for your generosity! Thank you so much, you are my favorite Digi artist!!! I love your work and feel so lucky that you are willing to share it all with us!!! WOW--thank you so very much for all these amazing resources! Thank you so much for all the images. They are terrific and you cards are just wonderful. Keep up the good works. Tahnk you Beccy for all the wonderful images. I love your style of drawing. WOW...a friend of mine just shared your site with me and I love it!!! Your work is wonderful and you are wonderful for being so generous and sharing your images!!! If I use any, I will definitely give you credit! Thank you so much!! OMG as my teenager would say. Wow, Wow,wow. Have just discovered your list. Thank you so much. Take me years to use these. Will put your web address on the back of my cards. Can't master shading on my graphic and paint programs so even more grateful for the coloured ones. I'm new to digital crafting and really appreciate your wonderful images. You are very talented and I thank you very much for sharing. What a great list, thanks so much Beccy! Fabulous list and fabulous images. Thank you so much. Thank you for sharing this images. I keep coming back to this list when I am looking for something specific. Thank you so much for sharing your wonderful work and all of the tutorials as well. I have now joined your blog and look forward to the regular emails!!! 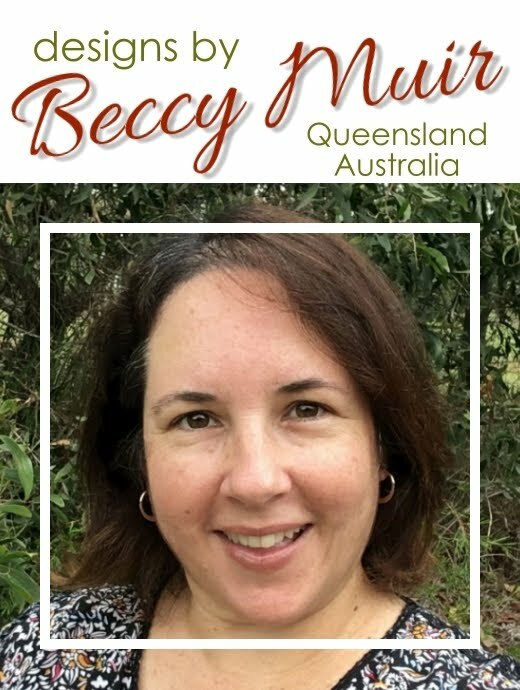 Hi Becky - thank you for the digital images and great tutorials. Still have to go right through them, though. Patricia Steele - Sydney, Aust. Thankyou so much for the cute images Becky! I am still browsing through your site! I found this list on FDS today! I downloaded a few cuties! Thank you so much! Very generous. Great images-thanks for sharing! Thank you so much for sharing your beautiful images! I love your tutorials as well. Just getting started with Copics and your pics make it very easy to follow along. Thanks again!! I just found your site and so glad I did! Thank you so much for sharing your beautiful artwork it is very appreciated!! Thank you for your gifts!! Thank you so much for sharing your beautiful and lovely images! Flowers and trees are my favorites :) Greetings from Estonia! Thank you for sharing your beautiful images. Your talent is amazing! Hi Beccy's, I LOVE LOVE LOVE your blog!!!!!!!!!!!!!!!!!!! You have just everything I was looking for lately. Thank you for sharing you designs and ideas with all of us. I'm from South Africa and totally hooked on your blog. Gonna tell all my crafty friends of this great blog. You are very blessed. Keep on doing what you do best! Hi! Thank you so so much for sharing. It is a blessing. I have just found your site today. I see that many people have known of your talent and generosity for a while. I thank you for sharing your talent and creativity with those of us who love to dabble in the arts. I will definitely be a frequent visitor! Searching for choosing a digi which I just won, I saw this immense list of freebies...cannot imagine that I never saw it before (or just has forgotten?? )...but I do thank you anyway! Do you want to know when one of them is used? Hi Margreet. No, you don't have to tell me when you use one of the freebies, please just go ahead and take what you need. I do love to see what people are creating though, so if you want to join in one of the monthly challenges, feel free to do so. I just want to say you are soooo talented. Wow what an astonishing amount of excellent art work. And I can't believe that you share your work for free. Thank you so much for all you do. You are truly amazing. Hi Beccy just wanted to let you know I went through and collected some images. Wow you are so talented and so kind to give away so much. Now I just have to find the time to use what I have collected. It has joined my pile of stamps and dies in the NBUS pile that never seems to get much smaller. Love looking at your cards too for inspiration, brilliant talent, keep it up. Thank you Beccy for all the freebies. I haven't done any digital work before so will just try & see what happens. LOVE, LOVE your website and thank you so much for sharing your super, great talent. Thanks for all the tutorials too. Great JOB! Thank you so much for all your generosity :) Now to decide which one I will use for our challenge when you sponsor us next year. Hi Beccy, I want to thank you for inspiring me. I’m from South Africa and am a keen follower of your blog. Thanks for all your hard work! You're very welcome Winnie, it's my pleasure.